Pickleball was invented in the 1960’s just south of us in Washington state and blends elements of tennis, badminton, and ping pong. The game was originally designed for children but has since become a popular, growing sport for all ages. Pickleball is played by two or four players using paddles made of wood or composite materials. The goal is to hit a ball that’s similar to a wiffle ball over a net. Games are played on a badminton court and have rules that resemble those of tennis. 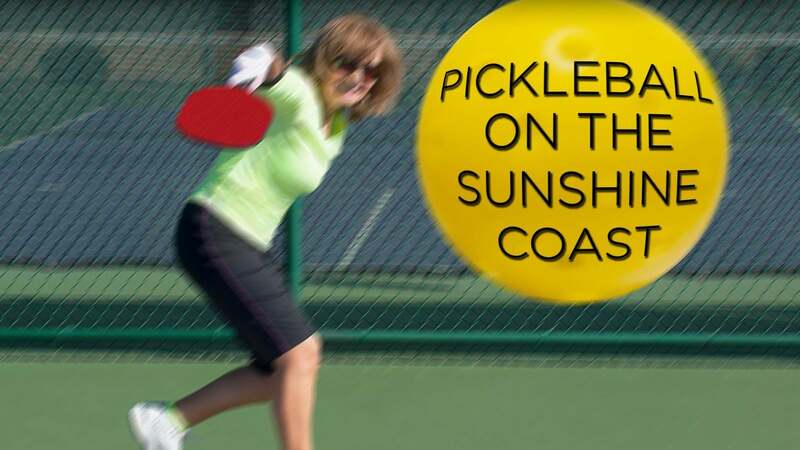 The Sunshine Coast Pickleball Association was formed in 2009 with the goal of promoting and supporting pickleball as a positive activity. The organization helps players develop their skills and works to provide a positive overall playing experience. Regular games are held all along the Sunshine Coast. For more information on game times or the Sunshine Coast Pickleball Association itself, visit the link below. "2017.07.08 -Major,Tonja-Evans,Morgan vs Lee,Miok-McGuffin,Tyson - 1-4 final MXO"